If you typed up a list of questions for to help evaluate any purchase decision what would top the list? Since many organizations begin to research UCaaS solutions as a cost savings measure, it is no surprise that the overall cost of a UCaaS platform is front and center. But it's not the important thing to shop on. You need great value at a great price. The goal is to evaluate each potential provider so you not only get the best price, but you get the best UCaaS solution for your money. To help, we've come up with ten questions you can use in the evaluation process. Their answers will ensure you not only get the best price, but you get the best UCaaS solution for the money. 1. Do they keep call media local? Session Border Controllers are expensive pieces of equipment that act as a conduit for phone communications. 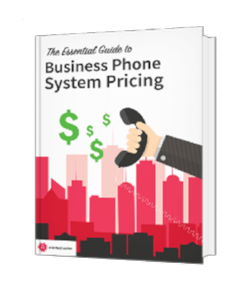 Vendors with their own SBC's, offer customers the additional savings and peace of mind of not having to won or manage these complex telecom devices. A smart follow-up is to ask where their Session Border Controllers (SBC) are located. The closer they are, the better the performance. Look for a provider that will pin your call media locally, which means their SBC's are situated in the same general area as your business. Some providers may have SBC's in locations outside your region or even the country where your business is located. This means every call is bounced back and forth across the country or even the globe. By having local SBCs, all call media is kept in the same geographic area, improving performance. 2. Do they use Broadsoft as their platform? Broadsoft is the leading unified communications software platform, due to its "Best in Market" reliability, security and scalability. Following a SaaS (Software as a Service) model, Broadsoft offers expanded services and functionality to organizations of all sizes, which then benefit from added scalability and lower operational and hardware costs. 3. Do they provide the circuit to your premises? The more direct and private data service you can get, the better off your organization will be. Find out how the vendor sources their connection. Are they leasing from larger vendors? Do they use lines that share the public internet? Dig into where their service originates - the answer may be eye opening. 4. Do they understand networking in addition to telephony? No one likes to give up their phone numbers, which requires adds marketing and operations costs as well as customer confusion. A network mishap can lead to unplanned downtime during the migration. The ability to configure and port old numbers from a legacy PBX system to a cloud-based platform, in one fluid migration, is a valuable differentiator. Ask potential vendors about their experience in telephony and porting, and follow up on their references. For more information about number porting, read this in-depth blog. 5. Do they have a ready-made E911 solution? A mobile compatible E911 solution provides an additional layer of security for all staff members, regardless of their location. By mobilizing laptops to connect directly to organizations security system and emergency services, staff members can phone in a 911 emergency wherever they may be. Besides saving valuable time and providing a more reliable form of communications during emergencies, E911 can automatically pinpoint the caller’s location and communicate it to Emergency Services. 6. Can they accommodate a phased migration? Depending on organizational needs, a phased migration might be a better option than a major, one-time rollout. Incremental migration can be done by location or functionality and can be a good option for testing out new solutions, training, and functionality. It can also be helpful for testing out the water and increasing overall user buy-in. Providers that recommend a "big bang" approach may not be a good fit for organizations that do not have sufficient resources to handle a major rollout. 7. Can they deliver PRI and/or analog lines for any sites, if required? Make life easier and reduce headaches by ensuring any potential vendor can still install and manage PRI or analog lines that are still necessary for fax machines, alarm systems, and elevator communications. 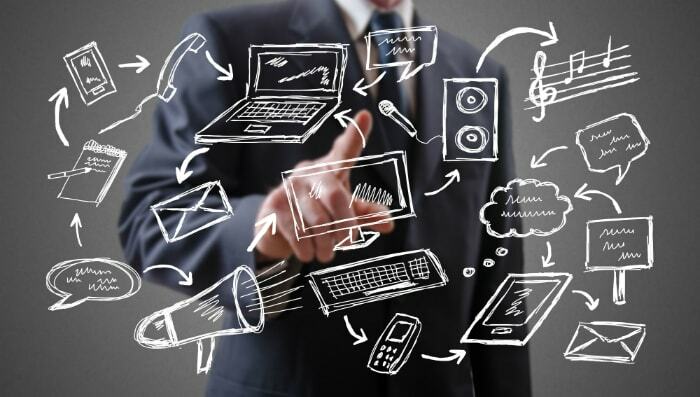 The need for analog devices still exists, but one of the benefits of a move to UCaaS is a one-vendor solution. If they can't truly meet all the needs of the organization, you may need to look elsewhere. 8. Are they a facilities-based provider? 9. Can they meet international calling requirements? Phone fraud was a common occurrence in legacy phone systems and the issue persists when using VoIP, too. Criminals use international calling as a way to make fraudulent calls, which can end up costing business owners thousands of dollars. UCaaS providers should have no problem discussing how they meet the need for international calls and also how the phone systems monitoring functionality can alert and cut off fraudulent international calls. 10. Can they supply the equipment you need? A single-source provider is a benefit many organizations value most. Volume discounts and streamlined billing make it the most cost-effective option. A faster, simpler migration becomes possible because there is less coordination required between vendors. Include equipment on your list of requirements and learn if potential vendors can accommodate the request. Ideally, the vendor will know the equipment inside and out be able and willing to assist with rollout and training. Implementing UCaaS doesn't have to be a headache, nor does it require a significant time commitment. We had a government client that struggled for a year with a move from PRI to Verizon. Eventually, they gave up and gave us a call, desperate to get away from PRI and legacy PBX. Atlantech had them up and running within days. In the end, it's the quality of the provider and their quality of customer service that makes the biggest difference.